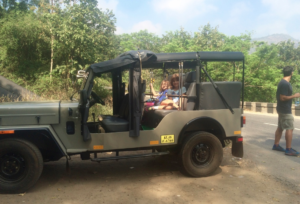 India with Kids: Traveling within India by car, trains, planes, rickshaws & more! We spent just under a month traveling around India as a family in January 2016. 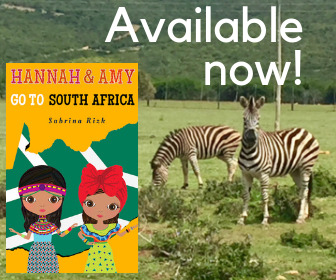 We traveled India by car, trains, planes, auto rickshaws, and more. This post elaborates on how we booked our transportation, the cost of each, and our actual experience with each. All monetary figures are in US dollars. as part of our overall trip. Since it was part of a multi-flight ticket I can’t provide the specific cost of our flights to and from India. The flight from Bangkok to New Delhi went smoothly. Unfortunately, we missed our flight from New Delhi to Rome because I had read the 1:50 Departure time as 1:50PM, when it was 1:50AM! Luckily, Airtreks was able to get us on another flight to Rome that same day. I had to rebook our flight from Rome to San Francisco, as it had been part of the same ticket, which I did through Expedia. 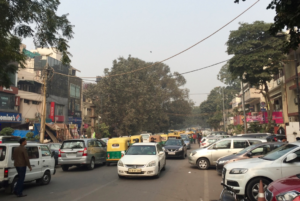 Our initial itinerary in India did not include stopping in Mumbai. Originally, we were going to take the train from North India to South India. That would have meant spending two nights on the train. Instead of spending so much time traveling between places, we decided to break it up by stopping in Mumbai. We flew from Mumbai to Kochi, in South India, a 90 minute flight. 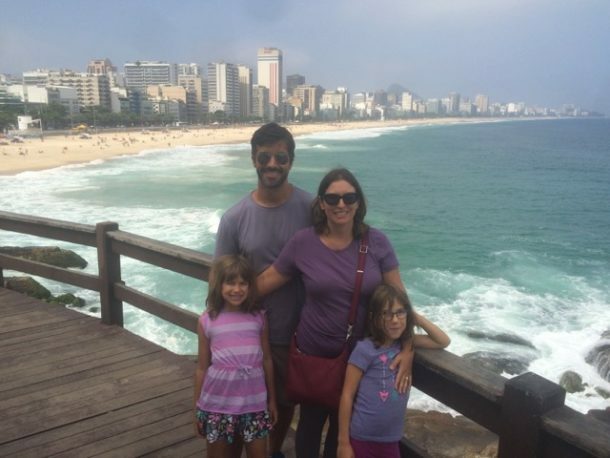 We booked the flight through Expedia, on Jet Airways, for a total cost of $362.56. There was some confusion about which terminal we had to go to, but we got there on time. 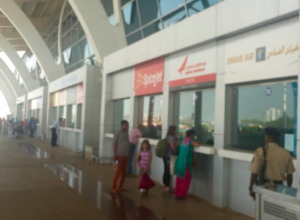 We also took a plane from Goa back to New Delhi. We had to change planes in Mumbai. Once again, we booked it through Expedia, this time on Air India, for a total cost of $398.40. We had a delay getting into the airport because on the Expedia mobile app, our reservation did not actually show the date of the flight! A trip to the ticketing counter to get paper tickets fixed that. the second last country on our trip and we would be there in our fifth month of travel. Once you start traveling though, you get caught up in the place you are in. We forgot about booking our India train tickets until 3 weeks before we were due to arrive in India. Although India has a train enquiry system for self-booking, Anthony decided to use a company in the UK to book our tickets. We had an Indrail pass which allows for unlimited rail travel for 21 consecutive days, but still needed to book tickets on individual trains, which the company did for us. Since our tickets were booked last minute, we weren’t always seated together. We took the train from Delhi to Agra, a 2 hour ride. Our family was split between two cars, and we had to share a 4 berth compartment with another couple. We were going to take the train from Agra to Bharatpur but decided to hire a driver instead because the train left too early in the morning, and because we wanted to stop at Fatehpur Sikri on the way. Similarly, we were also supposed to take the train from Bharatpur to Jaipur, and from Jaipur to Ajmer, but again hired a driver, so we would have more flexibility about our departure times. If we had known beforehand how easy and cheap is was to hire a driver, we wouldn’t have bothered with some of the train tickets. Our next train ride was from Jaipur to Sawai Madhopur (Ranthambore National Park), another 2 hour ride. It went smoothly. 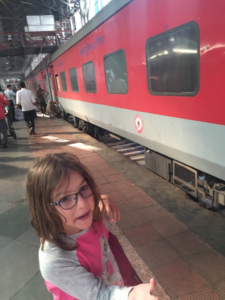 Our first overnight train was from Sawai Madhopur to Mumbai. Luckily, we were all in one compartment. Our tickets were for the AC 2 Tier class, not the crowded, standing only class that you see portrayed in movies. We each had our own assigned bunk and the rail car was air conditioned. 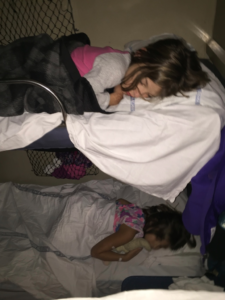 Kids can sleep anywhere…even on an Indian train! Our last train was from Alappuzha (Alleppey) to Goa, another overnight train. This train was delayed and while we were waiting at the train station, a homeless person kept trying to engage Anthony. Another Indian family saw this and got the guy to leave us alone. On this train, we were in separate compartments. Hannah and I were in a 4 berth compartment with another couple and Anthony and Amy were in the 2 berth aisle compartment near us. Luckily, the couple we were with were very friendly and could tell us a lot about India. In terms of the quality of the train, it was ok. A 4 berth compartment is on one side of the aisle and a 2 berth compartment is on the other side. The compartments are only separated by curtains, not lockable doors like on the African trains. I was advised to sleep with my purse under my head. There was no separate dining car, rather an attendant came through with preset meals that were included in the ticket (they were so-so). You could also purchase snacks and drinks from the attendant for an additional cost. Bedding was provided, but you made the beds yourself. There was also a toilet and basin in each rail car. The total cost of the unlimited rail pass was $650. We also spent $18 on porters at the train station. We highly recommend using porters as they can take you to the right platform and railcar. This is something we wish we had have known about earlier, as we definitely would have used them more than we did. 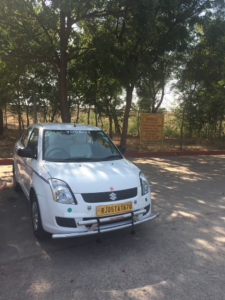 Tourist car that drove us to from Bharatpur to Jaipur. As mentioned, we hired a driver to drive us between Agra and Bharatpur ($34.51), Bharatpur to Jaipur ($67.52), and Jaipur to Amer and back ($15, $16.50). We also hired a driver to take us from Kochi to Kumily ($81.02) and from Kumily to Alappuhza (Alleppey) ($67.52). We booked the drivers the day before we needed them through our Airbnb hosts and through the hotels we were staying at. The driver from Agra to Bharatpur liked to use his horn a lot, but other than that they were great. We could stop at sights along the way, or for a snack/bathroom break, as needed. On the way to Kumily, Anthony’s wallet fell out of his pocket in the car, which he didn’t realize it until after the driver left. Luckily, Anthony was able to reach the driver and arranged to get his wallet back. We liked the flexibility of traveling by car. It is also inexpensive and we always felt safe. In terms of getting around within cities, once again, our Airbnb hosts would arrange a driver to take us around to the different tourist attractions. This is what we did in New Delhi, Jaipur, Mumbai and Kumily. Sometimes we would take taxis to/from airports and train stations, but sometimes, the hotel would arrange to have a driver meet us at the airport or train station. In total, we spent $282.07 on drivers to take us between cities, $253.55 on drivers and taxis within cities and $22.51 on a jeep tour of Tamil Nadu. 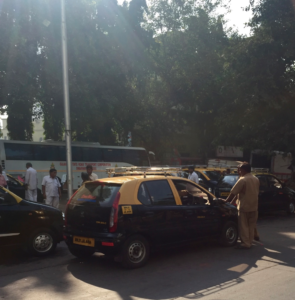 Besides traveling around India by car, by train, and by plane, we also took our fair share of auto rickshaws. These were particularly useful in getting around in cities. We pretty much used them in every city we went to and for the most part they worked out well. In Agra, the auto rickshaw driver kept waiting around for us in case we went out, as business was slow. In Jaipur, the driver insisted on trying to take us to tourist places that we didn’t want to visit. We didn’t appreciate that and had to hold firm on where we wanted to go. In Alappuzha (Alleppey), the driver was unsure of how to get to where we wanted to go. He didn’t believe Anthony’s directions (having gone the route before, and having Google maps on our iPhone), so we had to wait for him to call his friend to get directions. Other than that, auto rickshaws are a great and inexpensive way of traveling through Indian cities. 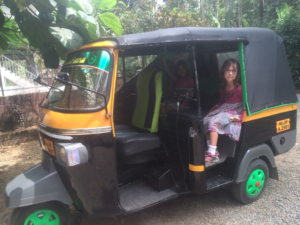 In total, we spent $118.80 on auto rickshaws. 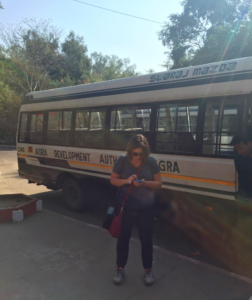 In Agra, we took a bus the short distance between where you bought your tickets and the entrance. If I recall correctly, the cost of the bus was included in the ticket. It was the same in Fatehpur Sikri, however, the bus there was $1.20. Also in Agra, we took a horse-drawn carriage up to the Taj Mahal and back for $6. 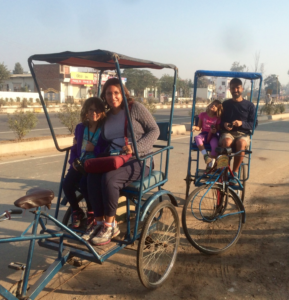 In Bharatpur, we took bicycle rickshaws to the Keoladeo Ghana National Park and back. We also took them throughout the park (except for the parts only accessible by foot). One acted as our tour guide while the other stayed with the rickshaws. The bicycle rickshaws cost $13.50 and were a great way to travel through the park. Anthony also got to ride on a motorcycle in Alappuzha and in Goa, a first for him! 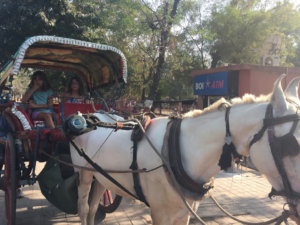 It was fairly easy to get around India by car, trains, planes, and rickshaws. We never got lost and felt safe with the drivers. We found that traveling around India can be fairly inexpensive and doesn’t necessarily require a lot of advanced planning. 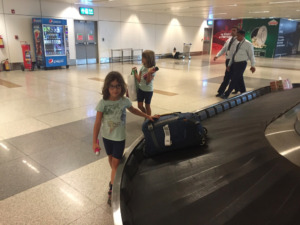 In total, we spent $2,120.59 to travel around India for just under a month. 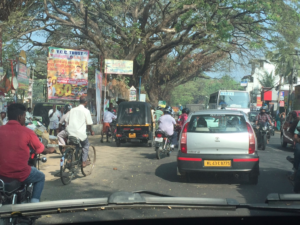 Traffic in Kochi: Bicycles, motorcycles, cars, auto rickshaws and buses. If you visit India next time and have issues in spotting your train live, visit NTES website to get accurate status of your train.